"Hi! Kuniyoshi! Hey do you like comics? Do you like beastmen? Ever been to a doujin event?! Oh! Let's form a circle together!" A high school student and doujin artist belonging to the Akihabara Guild. He loves Therians and draws them at every waking moment. He is cheerful and sociable, but has the bad habit of running off at the mouth whenever his favorite topic come up. 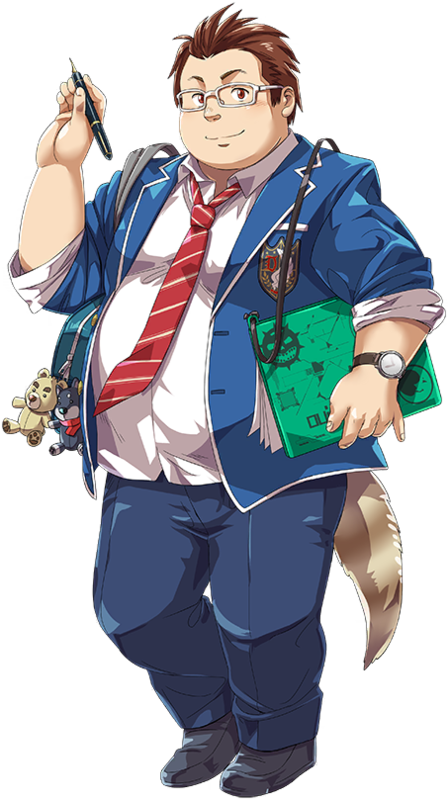 A doujinshi artist and active member in the Akihabara guild, Kuniyoshi is a motor-mouthed, extroverted nerd who loves people (especially beastmen) and telling stories through his comics. His mouth sometimes runs faster than his brain, causing him to blurt out strange things with no filter. He has a Sacred Artifact in the form of a Drawing Board that can exercise the Rule of Automatism. His illustrations are realistic enough to convince others that they are real, with an almost hypnotic level of persuasion, for a short period of time. Coupled with his passion for Therians, this ability can instigate chaos. The drawing board he carries with him is a Sacred Artifact, granting automatism to its owner. Springing to life as illusions, the persuasive power of the drawings Kuniyoshi creates have a genjutsu-like effect on opponents, affecting physical space as if they were real. Such power, coupled with his passion for beastmen, can only lead to disaster. Love of Beasts in My Native LandAuto-substantiation? Apply Possession to enemies at target. + Apply Blowback (Attractss 2 square) to enemies at target. Kuniyoshi always jotted down all his admiration for and delusions of Therians in his notebook. To him, an environment with them everywhere around is nothing short of paradise. "I want to jump into that chest and rub it!" "If I can I want to touch that tail until I'm completely happy!" ...due to such desires and affections running wild, a kingdom and palace was created within his dreams. The sense of catharsis that comes from the freedom to say you like something with your chest held up proudly and the unending passions for the things he likes are the motivations that fire him up. There was no way he could hold back his interest for the rarity that is a panda therian that he happened to meet. He is sympathetic to the Ueno guildmaster as someone with similar tastes yet has taken a totally different approach. 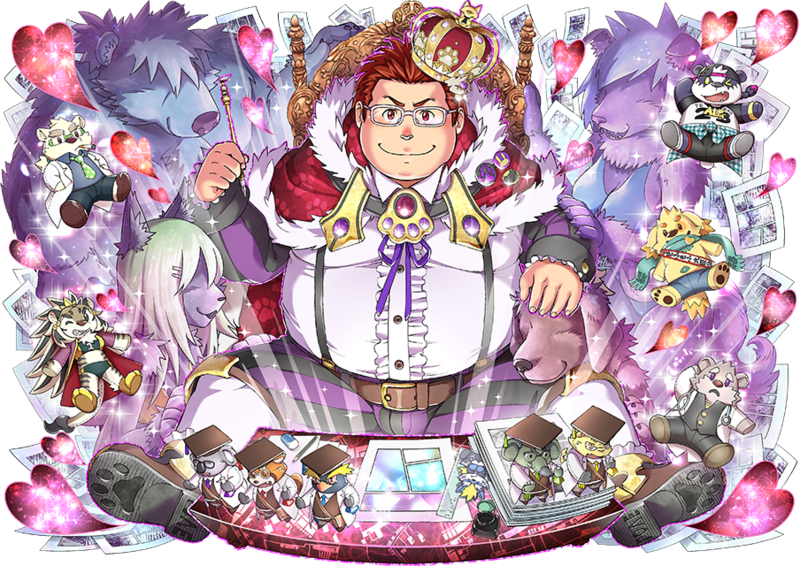 The Ueno guildmaster likes beasts and has the power to turn into a beast. Kuniyoshi doesn't want to be one himself, but he respects that difference. 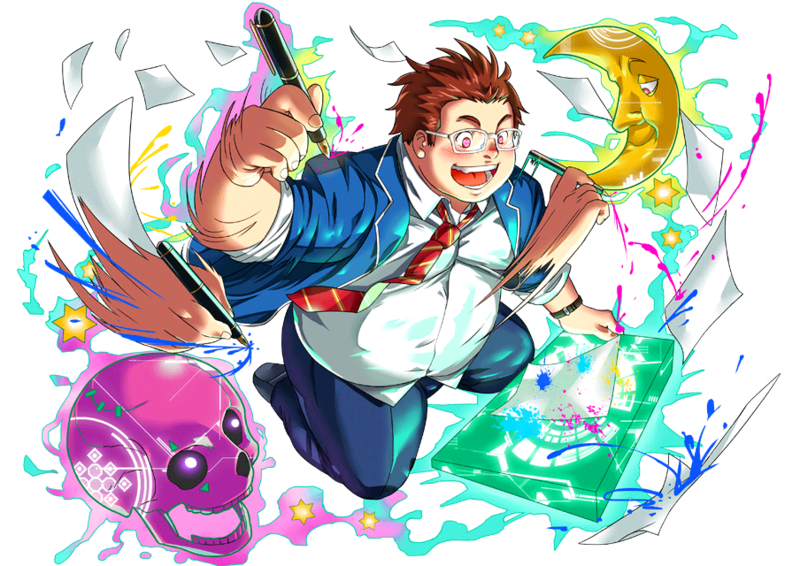 *ahem,ahem,A-HA-HEM* I am Kuniyoshi. My dream is called the Kingdom of Fluffiness. Come along, let's talk about loving beastmen together. Come on, petting some nice fluffy fur will make you feel better. It's hard to bear it if you've been bottling it up inside so long, let out the love stored up in the reservoir! FLUFFY-LOVE-HAPPINEEESS!! HAAA, I AM... SO HAPPY TO HAVE BEEN BORN!! Aaah, it was a nice chat about our passions, the best! Here, I'll appoint you my Minister of Fluffiness, come with me to my kingdom. Even if Kuniyoshi dies... fluffiness... IS IMMORTAAALL and bleh I am dead. His full name is Kuniyoshi Etogawa (干支川クニヨシ). Based on Kuniyoshi Utagawa, a famous Japanese woodblock painter from the 19th century. But Leib is more useful due to nullifying remove rebuff. You game admits he's a bit weird but compared to everyone else he does not let his desires to hurt other people unlike people like Aizen, Hakumen, Managarm, and Claude. Honestly he's probably one of the few good people in the game. I relate to his 5* more than I’d care to admit. Makes me kinda sad that I got Leib instead of him, if nothing for that skill set. Y'think he keeps a bunch of furry dudes in his basement, going like. "It rubs the lotion on its skin or else it gets the hose again"
When I was 15 years old and taking commissions for the first time, this guy asked me to animate an entire cartoon about Sailor Moon eating all of her friends. Like, unhinging her jaw and swallowing them like a boa constrictor and then growing bigger than the size of a whole city and then barfing them back out again. That's how I learned out about macrophilia, inflation, and vore. Finally, a match for Rohan Kishibe.